The aim of our study is to evaluate the capability of acoustic microscopy with a high frequency transducer for visualization of cells. Human kidney embryonic (HEK293) cells were observed by scanning acoustic microscope (SAM). HEK293 cells cultured on cover glasses were kept in cell culture plates. A transducer with 320 MHz center frequency and a spot size of 4.0 µm was incorporated into SAM. Two-dimensional acoustic images were obtained successfully to identify the morphology and the acoustic properties of HEK293 cells and the acoustic impedance of HEK293 cells was measured as 1.65 ± 0.02 MRayl. The same cells on cover glasses were observed also with inverted microscope. The results in this study indicate that scanning acoustic microscopy can be used for the determination of elastic properties of cells, therefore for cellular mapping and molecular imaging, since it can create very sharp images of HEK293 cells with a high frequency transducer. 1. Ziemann, F, Radler, J, Sackmann, E, Local Measurements of Viscoelastic Moduli of Entangled Actin Network Using an Oscillating Magnetic Bead Micro-Rheometer, Biophysical Journal, 1994, 66, 2210–2216. 2. Schmid-Schönbein, GW, Sung, KLP, Tozeren, H, Skalak, R, Chien, S, Passive mechanical properties of human leukocytes, Biophysical Journal, 1981, 36, 243-256. 3. Hochmuth, RM, Micropipette aspiration of living cells, Journal of Biomechanics, 2000, 33, 15-22. 4. Van Vliet, KJ, Bao, G, Suresh, S, The biomechanics toolbox: experimental approaches for living cells and biomolecules, Acta Materialia, 2003, 51, 5881–5905. 5. 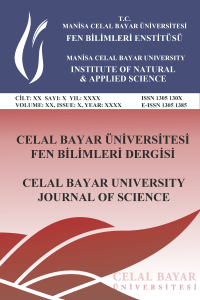 Laurent, VM, Henon, S, Planus, E, Fodil, R, Balland, M, Isabey, D, Gallet, F, Assessment of Mechanical Properties of Adherent Living Cells by Bead Micromanipulation: Comparison of Magnetic Twisting Cytometry vs Optical Tweezers, Journal of Biomechanical Engineering, 2002, 124, 408–421. 6. Miura, K, Egawa, Y, Moriki, T, Mineta, H, Harada, H, Baba, S, Yamamoto, S, Microscopic observation of chemical modification in sections using scanning acoustic microscopy, Pathology International, 2015, 65, 355-66. 7. Miura, K, Nasu, H, Yamamoto, S, Scanning acoustic microscopy for characterization of neoplastic and inflammatory lesions of lymph nodes, Scientific Reports, 2013, 3, 1255. 8. Brewin, MP, Srodon, PD, Greenwald, SE, Birch, MJ, Carotid atherosclerotic plaque characterization by measurement of ultrasound speed in vitro at high frequency, 20 MHz, Ultrasonics, 2014, 54, 428-441. 9. Kobayashi, K, Yoshida, S, Saijo, Y, Hozumi, N, Acoustic impedance microscopy for biological tissue characterization, Ultrasonics, 2014, 54, 1922-1928. 10. Johnston, RN, Atalar, A, Heiserman, J, Jipson, V, Quate, CF, Acoustic microscopy: Resolution of subcellular detail, Proceedings of the National Academy of Sciences of USA, 1979, 76, 3325–3329. 11. Miura, K, Yamamoto, S, A scanning acoustic microscope discriminates cancer cells in fluid, Scientific Reports, 2015, 5, 15243. 12. Strohm, EM, Kolios, MC. In IEEE Ultrasonics Symposium, Rome, Italy, 2009, pp 49-52. 13. Strohm, EM, Czarnota, GJ, Kolios, MC, Quantitative Measurements of Apoptotic Cell Properties Using Acoustic Microscopy, IEEE Transactions on Ultrasonics, Ferroelectrics and Frequency Control, 2010, 57, 2293-304. 14. Saijo, Y, Sasaki, H, Sato, M, Nitta, S, Tanaka, M, Visualization of human umbilical vein endothelial cells by acoustic microscopy, Ultrasonics, 2000, 38, 396–399. 15. Shelke, A, Brand, S, Kundu, T, Bereiter-Hahn, J, Blasé, C. In SPIE Conference on Health Monitoring of Structural and Biological Systems, San Diego, California, USA, 2012, pp 83481T. 16. Soon, TTK, Chean, TW, Yamada, H, Takahashi, K, Hozumi, N, Kobayashi, K, Yoshida, S, Effects of anticancer drugs on glia-glioma brain tumor model characterized by acoustic impedance microscopy, Japanese Journal of Applied Physics, 2017, 56, 07JF15. 17. Hozumi, N, Gunawan, AI, Kajima, S, Yoshida, S, Saijo, Y, Kobayashi, K, Yamamoto, S. In IEEE Ultrasonics Symposium, Prague, Czech Republic, 2012, pp 1212-1215. 18. Shaw, G, Morse, S, Ararat, M, Graham, FL, Preferential transformation of human neuronal cells by human adenoviruses and the origin of HEK 293 cells, The FASEB Journal, 2002, 16(8), 869-871. 19. Xiaoning, Xi, Xin, Li, Miyasaka, C, Kropf, M, Tittmann, BR, High Frequency Scanning Acoustic Microscopy as Diagnostic Tool in Tissue Science, Journal of Biotechnology and Biomaterials, 2013, 3, 1000160. 20. Azhari, H, Basics of Biomedical Ultrasound for Engineers; Wiley-IEEE Press: Hoboken, NJ, USA, 2010.